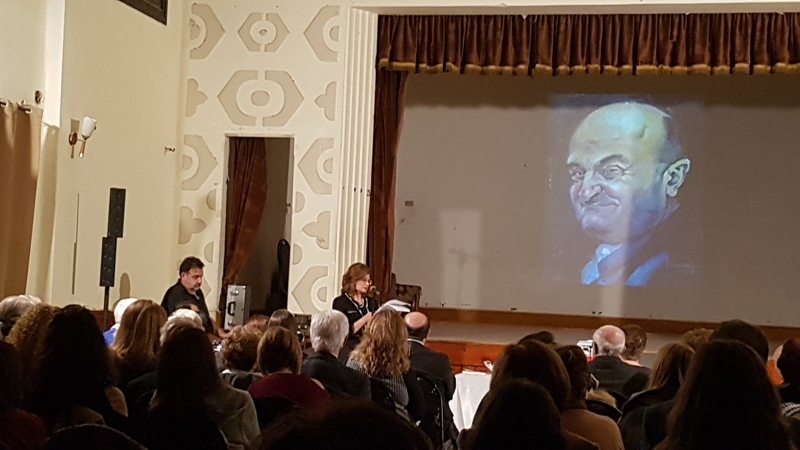 On Sunday, March 17th, the Arax choir of the Armenian Patriarchate of Cairo held its concert at the Belekdenian hall in Heliopolis. This year’s performance, however, was far from being regular, for a number of reasons. First, the concert was a celebration of the 2800th anniversary of Yerevan, hence all the songs were dedicated to our mother city, the blushing Yerevan. Differing from the past few years’ recitals, this year’s musical accompaniment was secured by the beautiful piano performance of Mrs. Sevan Semerdjian. Moreover, the soloist singers and dancer not only brought a beautiful distinction, but also ensured that the rest of the choir members kept their crispness all along the concert. 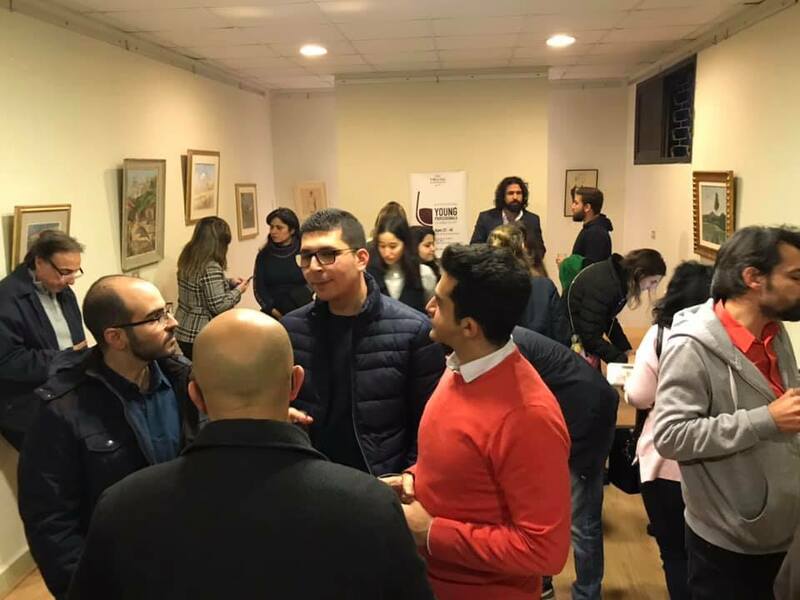 To be mentioned also the remarkable pamphlet of the recital which contained a concise overview of Yerevan’s history as well as the lyrics of all the songs of the repertoire, making it a small valuable register. The large crowd listened and followed with great enthusiasm, expressing its appreciation with rowdy applause. 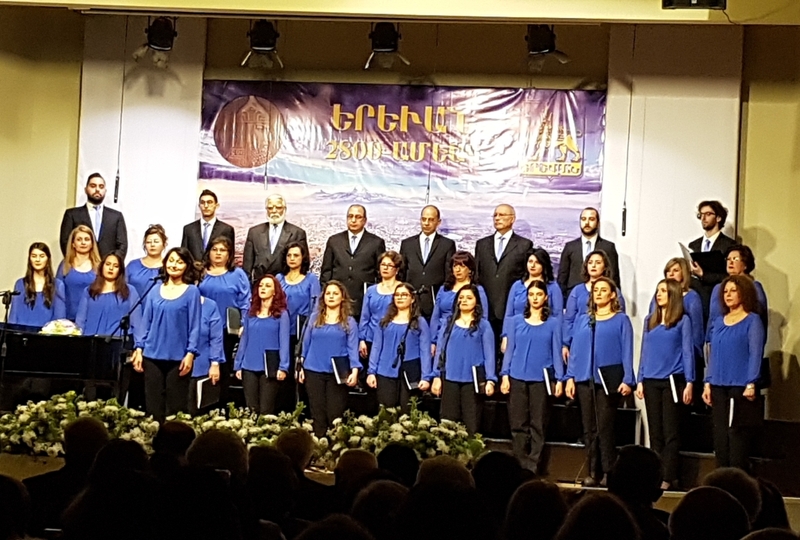 We warmly congratulate the Arax choir and its Maestro Mihran Ghazelian for their great success. 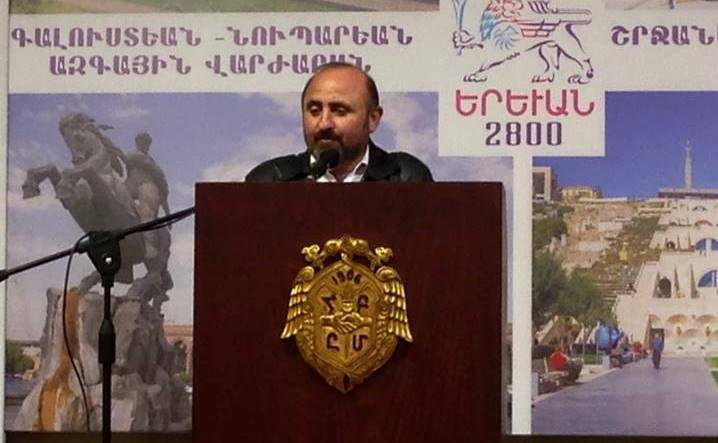 Saroukhan: 120 years / ՍԱՐՈՒԽԱՆ 120 տարի..